The Australian Science Media Centre (AusSMC) has just created a new website called Scimex, the Science Media Exchange (www.scimex.org). It’s an online portal for journalists to access breaking science news and will include a searchable database of media-savvy experts. Vetted journalists will be able to contact registered experts on Scimex directly. With this in mind, AusSMC wants to make sure the portal includes experts who are keen to engage with the media. 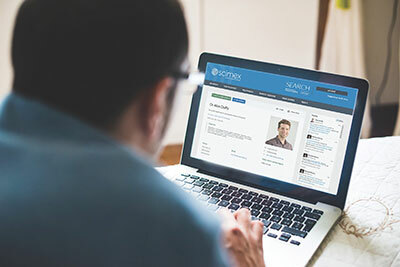 Once experts register on Scimex, we will send login details so they can edit their profile, enter story pitch ideas for vetted journalists, and upload images, footage and infographics. We also have a section where experts can upload YouTube videos of themselves or their research, as well as news clips and their Twitter feed, to give journalists an idea of their communication skills. We invite researchers to register now via this link and be amongst the first experts on Scimex. Scientific experts can create a profile page on Scimex at no cost. Organisations will be able to upload multimedia and events to Scimex at no cost. Research organisations will be able to pay to upload news stories to the Scimex newsfeed (pricing information below and here). We are very excited about Scimex and hope you find it helpful.